The Anglican Church in Athens works closely with MedIn, a Greek NGO. MedIn has a strong presence in the reception centre for refugees in Samos. At present, this centre with its 1,377 residents, is faced with overcrowding as it tries to shelter numbers far beyond its capacity. Once on the island (arrivals from Turkey have not been totally halted), the refugees become stranded for weeks, even months before being transferred to mainland Greece. In the past MedIn turned to the chaplaincy to help finance medicines. Over Christmas the chaplaincy was asked to meet an emergency call from MedIn to provide sixty tents and supplies of milk formula to which it was able to respond. Recently MedIn asked if the Chaplaincy could collect small tins of evaporated milk as an addition to the diet of the 247 children resident in the camp. A call has gone out to the English speaking population of Athens. Within a fortnight 500 tins have emerged. The appeal is to the end of Lent. 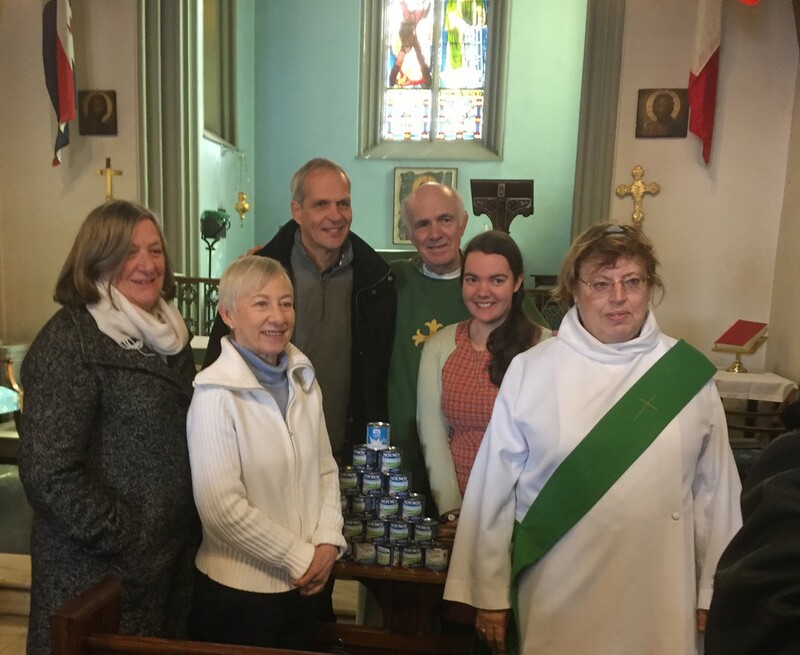 The photograph shows Deacon Christine Saccali who launched the appeal with Rebecca Boardman (second from the right) from USPG, the chaplaincy’s partner regarding the refugees, members of the congregation and the first of the tins collected.